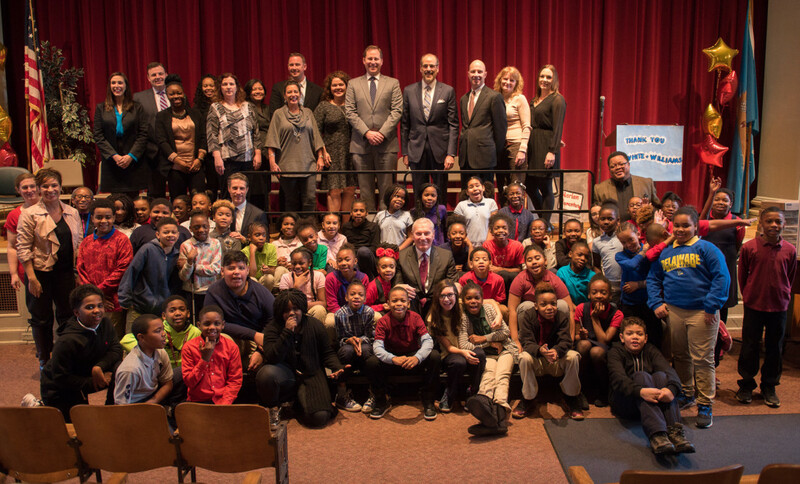 White and Williams is pleased to announce its adoption of Harlan Elementary School, a K-5 school in Wilmington, Delaware. The adoption kicked off with the presentation of Google Chromebooks in an assembly on January 24th. The adoption will also include school supply and uniform drives as well as classroom visits from White and Williams lawyers and staff for reading and career days. "We are excited to work with and support the students of Harlan Elementary School," said John Balaguer, Managing Partner of the Wilmington office. "We are hopeful that our donation of Chromebooks and involvement in reading days will inspire enthusiasm for lifelong learning." 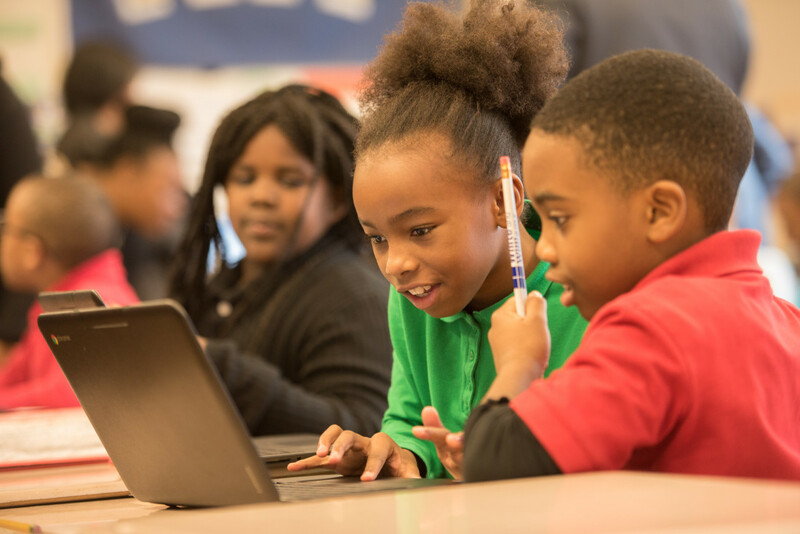 Accessibility to Google Chromebooks in the classrooms will allow for students to participate in a more blended curriculum, combining spoken lecture with technology. As technology becomes increasingly prevalent, becoming comfortable with its functions will help to better prepare the students for the future. Mayor Mike Purzycki attended the assembly and had a special message for the students of Harlan. 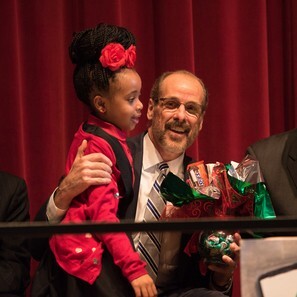 Harlan Elementary School is one of three schools currently adopted by the firm as part of its Adopt-a-School Initiative and is the first in the state of Delaware. The Adopt-a-School Initiative began in 2012 as a way for the firm to give back to local communities, invest in education and provide a unique opportunity for lawyers and staff to engage through the investment of time, finances and resources.